Remember a few weeks ago when Brooke Keegan pulled out her magic wand and put together a glamorous surprise backyard bridal shower for her friend Megan? A dreamy event that was filled with fabulous decor, including the prettiest ribbon chair we have ever seen. If you did not see the event, you must have a look. Lucky for us, Brooke shares exactly how she reinvented the chair into a completely glamorous accessory for the shower. 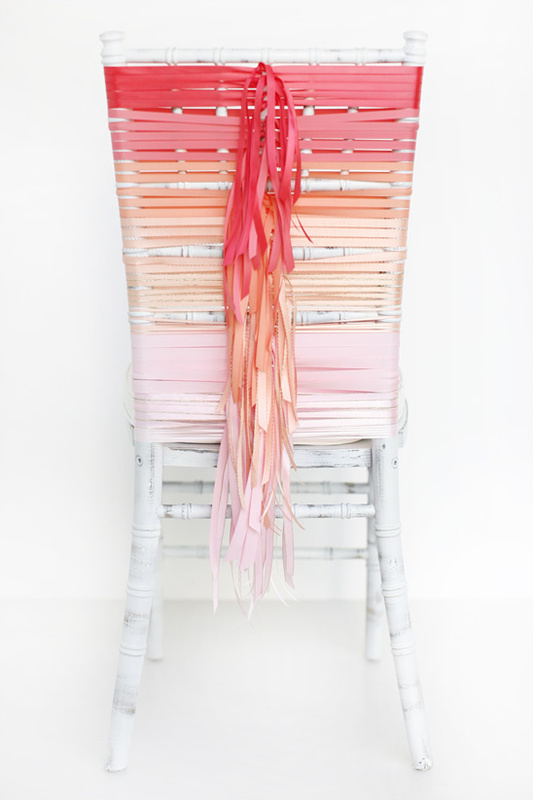 A doable project that takes a little time, a whole lot of ribbon and of course a chair. We can already see the photo of the two of you in your fancy chairs. Read on for complete instructions from Brooke. The lovely chairs were provided by Chiavari Chair Rentals and all of the ribbon was purchased from BB Crafts. 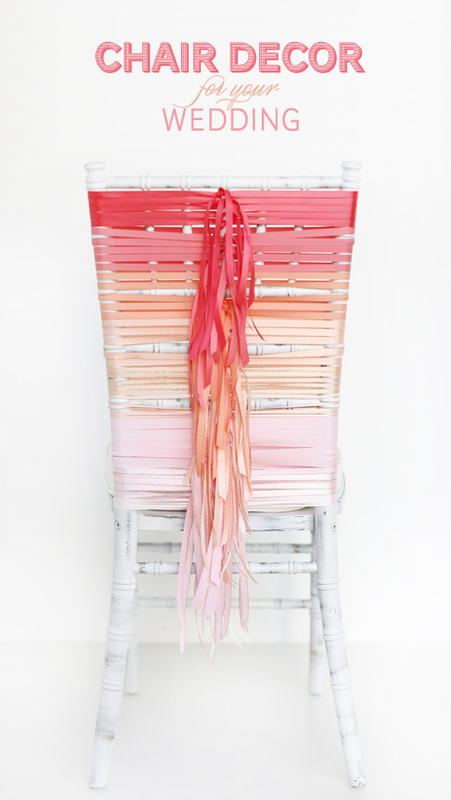 Wedding Chicks style chair using an ombre coral combination. Using a Tuscan Chiavari chair and a total of 60 yards of ribbon. 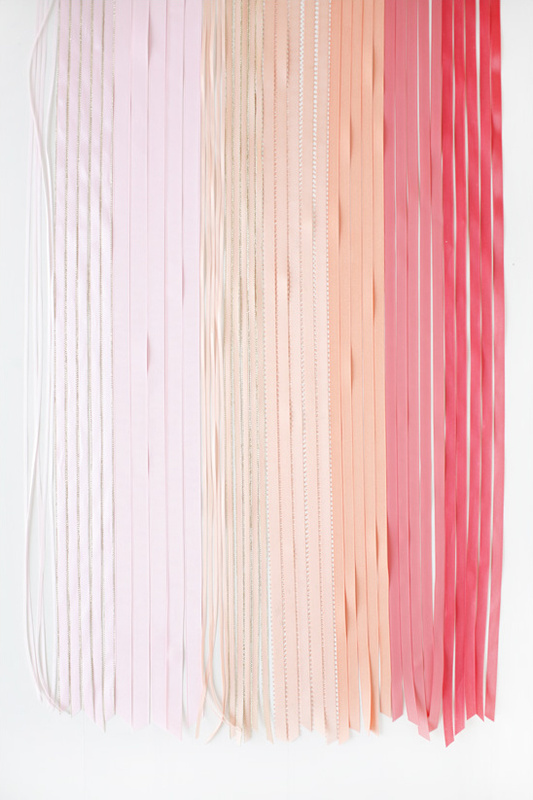 We used nine ombre shades of ribbon ranging from 1/8 in. to 3/8 in. 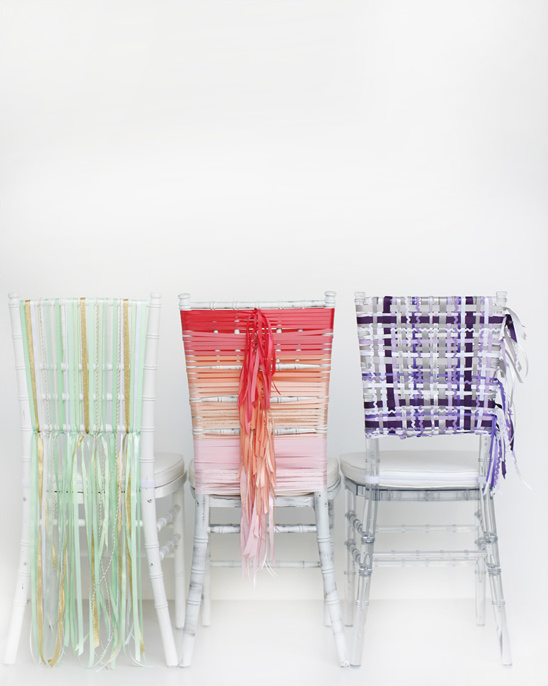 5 strips of each color for a total of 45 strips Simply tie the strips sideways, against the side of the chair, then rotate the ribbon so the excess is in the middle creating the fringe effect down the center. It's really that simple and how beautiful does it look? 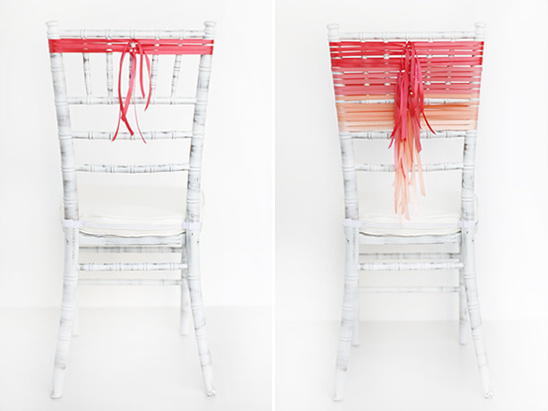 This is the perfect chair for the bride at her wedding or her bridal shower. 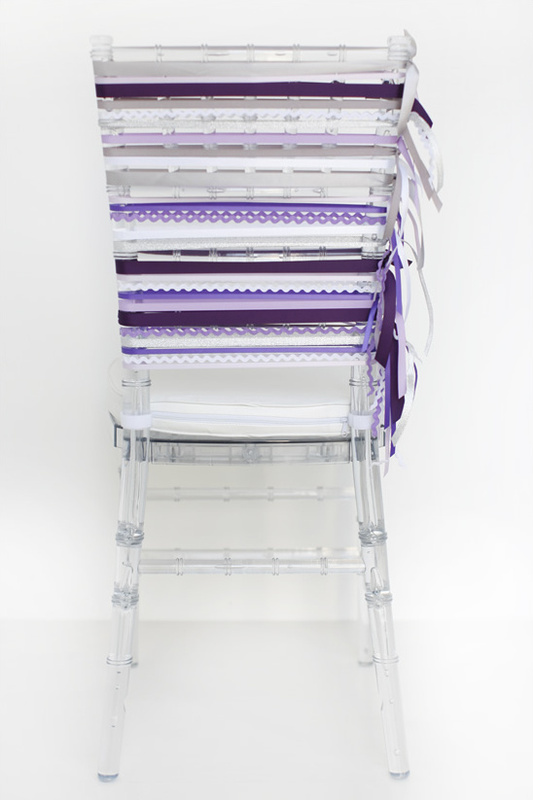 We are sure the woven purple, plum, lavender, lilac and silver ribbon on a Clear Chiavari chair will be a total hit! Purple is the most searched color on our Style Search. 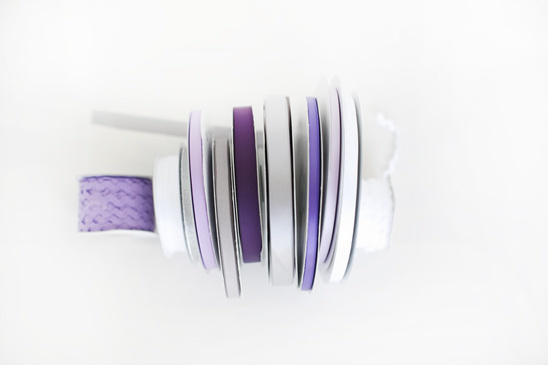 Ten different ribbon types were used in shades of purple and silver ranging in size from 1/4 in. to 3/8 in. *Note: You can stop after tying the ribbons horizontally for a super cute simple look, or continue on with the verticals for the woven look. 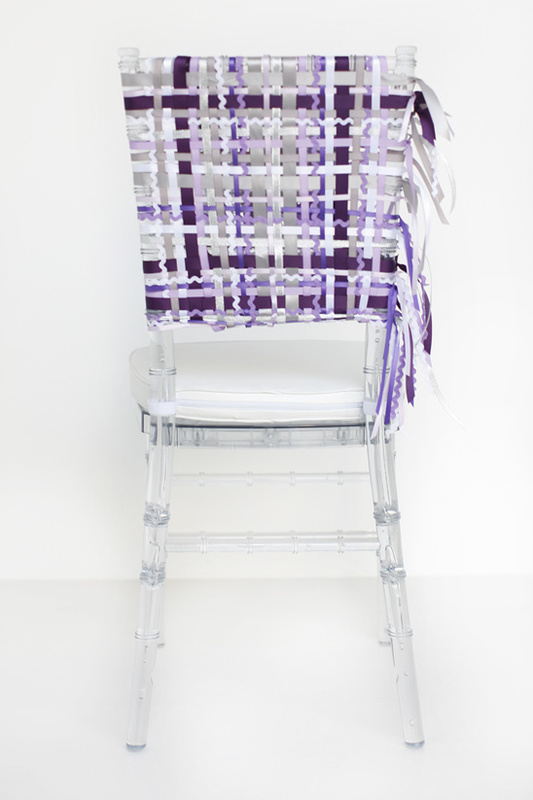 If you would like to continue to weave your fancy purple chair you can start with your vertical pieces and weave through the horizontal ribbons. 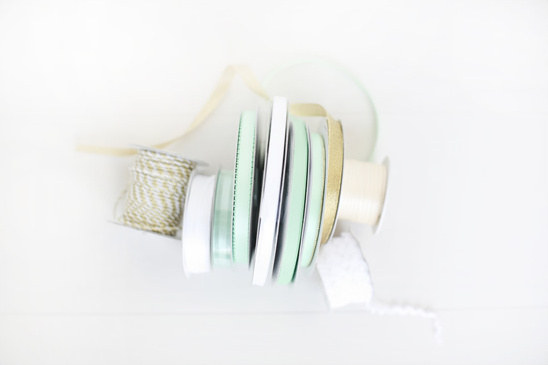 After you tie the ribbons vertically, tuck in the excess ribbon between the two woven sections from the bottom. 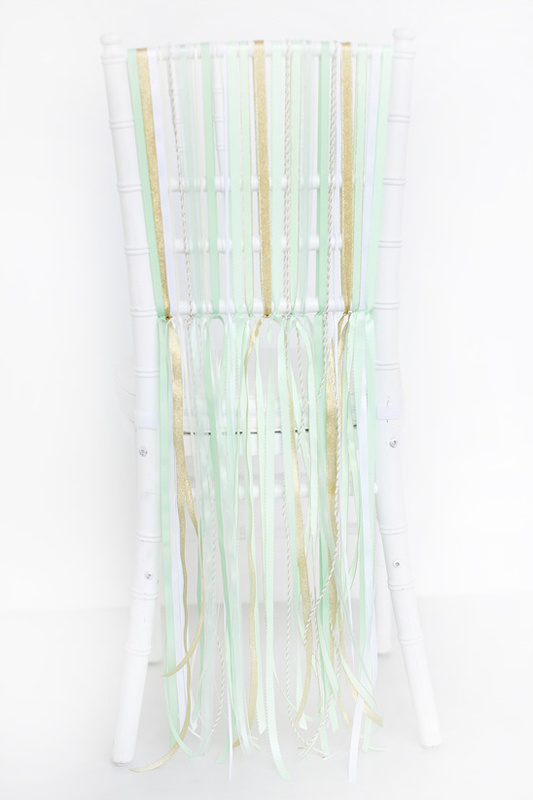 Trailing Mint, White, Ivory, Gold Ribbon tied on a White Chiavari chair is definitely add a sophisticated touch for your wedding. We used 9 different ribbon colors and widths ranging from 1/8 in. to 5/8 in. 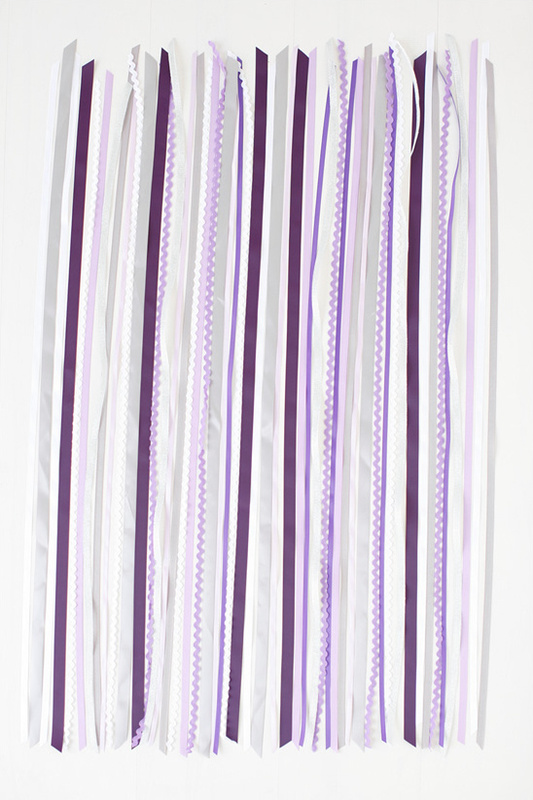 23 ribbons across We used 2 strips of 4 colors and 3 strips of 5 colors Just tie your ribbons as seen below to create your very own custom ribbon wedding chair. 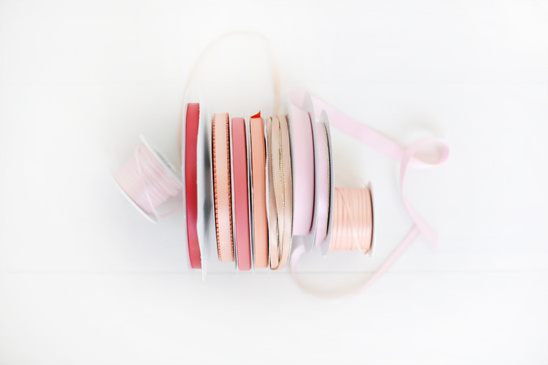 How much do you love ribbon? 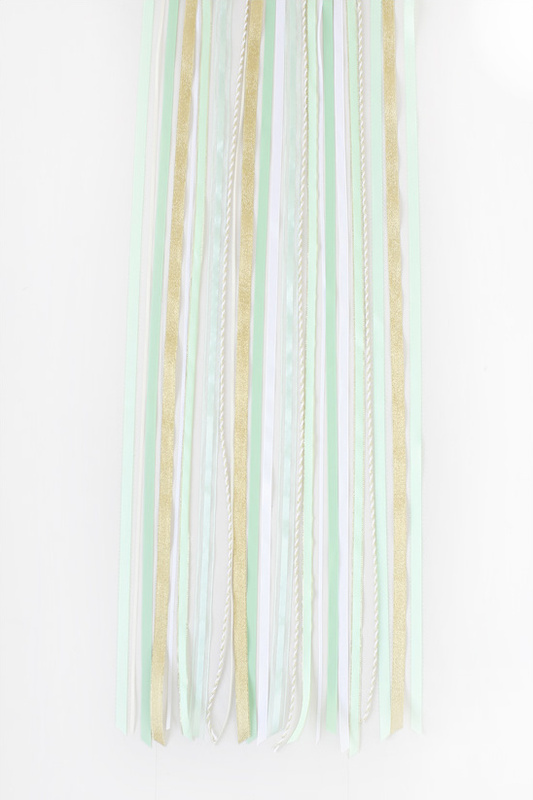 Ribbon just makes everything prettier. 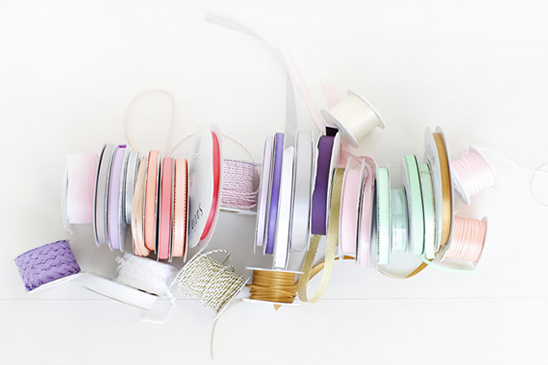 BB Crafts has pretty much every style and color of ribbon you can imagine and they ship super fast. Don't you think a decorated chair or chairs would spruce up any event? We sure do and can't wait to see them at your wedding.